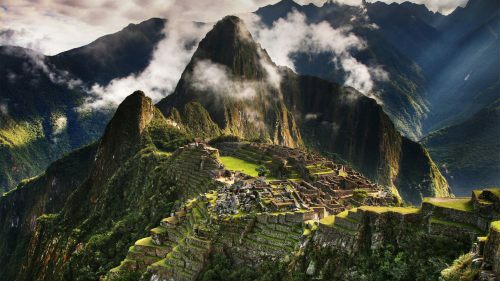 Aeromexico has dropped the price of their fall flights from Vancouver to Lima, Peru down to between $564 and $584 CAD roundtrip including taxes. The flights have about a 2.5 to 3.5 hour stop in Mexico City each way. You can also find 1-stop flights from Vancouver to Bogota, Colombia (BOG) on the same dates, for a similar price. There are also non-stop flights from Vancouver to Mexico City (MEX) on the same dates, for $434 CAD roundtrip including taxes. Update 5/1 - Pretty much any date combination in September or October seems to work now. There are also more August departure dates. vancouver, yvr, flight deals, mexico city, mex, south america, lima, peru, lim, bogota, colombia, bog and aeromexico. 7 Responses to "Vancouver to Lima, Peru - $565 to $584 CAD roundtrip including taxes | fall 2017 travel"
fantastic offer, just booked to tickets leaving late- september until mid-october. Have a great time in Peru! I keep getting an error message from Airtickets.com when I submit my order. Is anyone else experiencing this issue? Can the trip be extended beyond the 2 week advertised duration? You are awesome, Chris. We had wonderful trip to India with the help of your alerts. Thanks Shankar, I'm glad you had a great trip! $564 CAD price for two week trip is available on the Aeromexico website as well. Longer stay seems to bump it up a couple hundred dollars. Still a good price. Thanks Chris posting these deals!